First line: "The straitjacket corseted my body so tightly my arms tingled and my fingers turned numb." Thoughts: When I originally heard of IMPOSTOR, it was being compared to XMEN-First Class. As a huge Marvel geek, I was immediately drawn to it. Well, it's no lie. 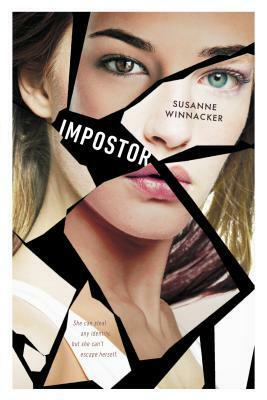 With a mixture of angst, romance, and super human powers, IMPOSTOR has a bit of something for everyone. Addicting? You bet! The story starts off with a bang. You're immediately introduced to Tessa and her special skill. The best way to describe her is comparing her to Mystique from X-Men. She can transform herself to become any person. The only difference is she's not evil. After a serial killer claims another victim, Tessa must transform herself into Madison and slowly uncover who this killer is. Easier said than done. 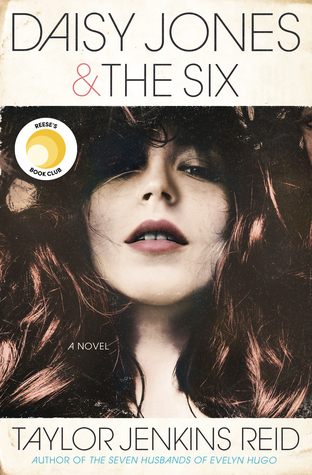 Taking over Madison's life, letting her family believe their daughter and sister are still alive, can take it's toll. Tessa may have super natural abilities, but she's still human. One of the things I adored about this book was how much it read as a contemporary novel. Yeah, the protagonist is pretending to be a dead girl but all that high school angst, finding love, crushing on the wrong guys and whatnot are still there. It's not easy being a teenager. Mix in being part of a division of the FBI and you have Tessa. Her bravery and overall composure made me smile on multiple occasions. I love how easily she fell in love with Madison's family and how she often wanted to comfort them. To me, it made her all that much more human and real. Speaking of Tessa's family, one of my absolutely favorite characters in this novel was Devon, Madison's twin brother. I loved how Tessa was immediately attracted to him but know she couldn't be. I mean, hello, she's pretending to be his twin sister! Creepy, much? He added bits of humor and compassion that was very much needed in a book like this. Now, let's talk about romance. Now, I wouldn't necessarily say there's a love triangle in this book, but you have to keep in mind that Tessa is pretending to be Madison. You have Alec, Tessa's personal crush and you have Ryan, Madison's ex-boyfriend. I personally never cared for Ryan, however, Alec is a different story. Ugh, how he frustrated me and made my heart leap at the same time. His protective nature amazed me and wasn't overbearing in the least. I just want to hold him and squeeze him and love him. Now, I did often feel a tad unsated with Alec and Tessa's encounters. The sexual tension drove me insane, but I still loved it. Okay, I must admit that I kind of figured out who the killer was from the very beginning. The thing is, even though it seemed predictable, the overall happenings was not what I expected at all. There's so much more going on than I could have ever anticipated. Needless to say, the last third of the book was intense and riveting. Overall, I recommend IMPOSTOR for paranormal, thriller, and contemporary fans. Like I said, it has a little something for everyone. With the way the novel ended, I'm expect not only a sequel in the future but another crazy, blood-tingling ride. I'm a Marvel geek too, so seeing your comparison up there just makes me want to read this one more! I'll admit, I'm very intrigued by the mere idea on it. I do love that it kind of reads like a contemporary novel as well. I haven't heard much about this, but it sounds fantastic!